With the completion of one challenge, it is time to start a new challenge. This time I am play-testing the ruleset for the Officially Wacky Boolprop Challenge. This playtesting is way overdue. Way overdue. The Officially Wacky Boolprop Challenge is an official game challenge of the Boolprop.net forums and it is also officially wacky. This challenge runs for three generations but this count does not include the founders. So, basically, it is a four generation challenge. Create a single founder. All of the traits should be rolled in some manner in order to obtain randomized traits. I used createarandomsim.com to roll for traits and aspiration. When I rolled active and clumsy it seemed like it a good roll, and then I realized she was a snob and wanted to be a joke star and I was convinced the random roll was perfect. We will see how it plays out. I made a lot of notes below, not a lot of pictures. Mostly so I have something to refer back to as I play, and to keep me reminded of what I meant to do. Her name is pronounced ZEE-ah Zaf-fer. Apparently zaffre is an artificial mixture containing cobalt oxide used to produce a blue color in glass and in ceramic glazes. It seemed appropriate. 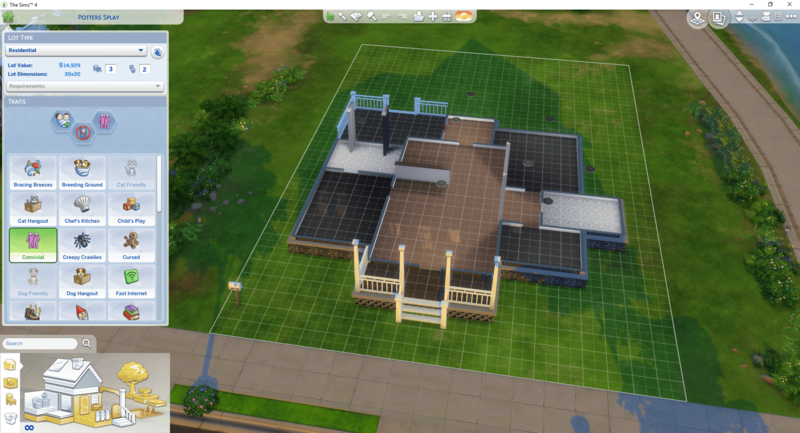 You may start on any size lot, with or without a pre-built house, that your Sims can afford either straight out of CAS or Gallery. 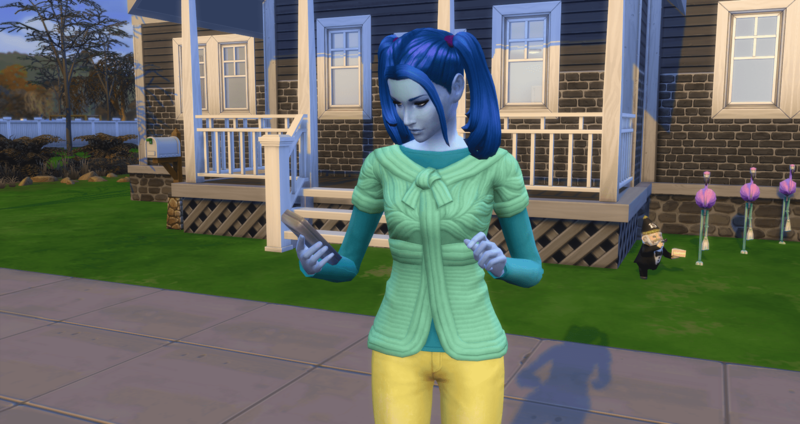 Just make sure it’s a good enough size to stay on for the duration of the challenge for a family that’s going to average about five Sims if not more, as you cannot move away from this lot. You may use whatever lot traits you want, as long as it doesn’t violate any other rule. 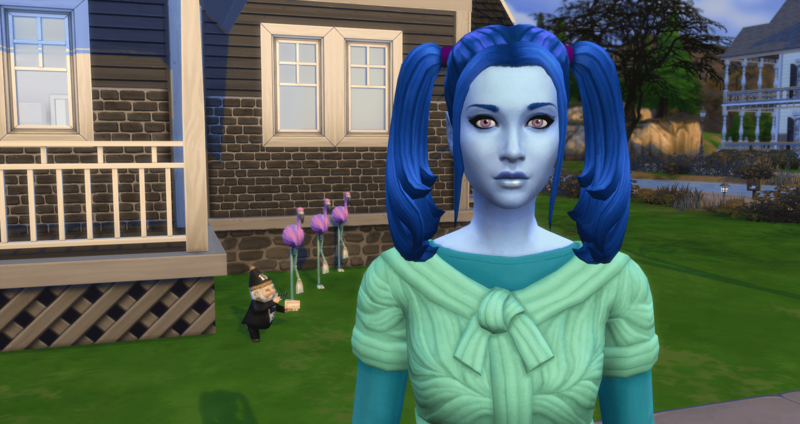 Xia moved into Potters Splay (empty lot) in the middle class neighborhood in Willow Creek. She was going to start in the poorest neighborhood but I don’t like the layout of that neighborhood so I bumped her up a little. This is a pretty area. The house is downloaded from the gallery. It is a 3bed/2bath shell uploaded by liamdixon1. Lot traits are Convivial, Private Dwelling, and On Ley Line. The rules don’t prohibit changing of the lot traits, other than On Ley Line since that is for a mini challenge. I use Private Dwelling to cut down on the vampire visits. That means Convivial is the only flexible trait. It will be open to change as I need a different one for some reason. 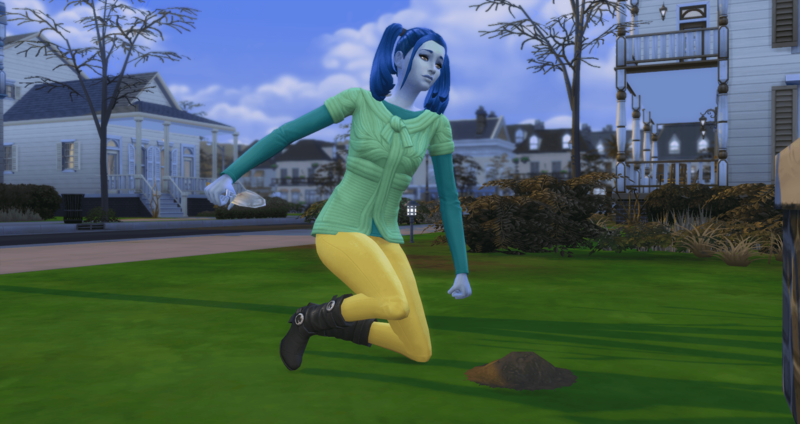 It provides a boost to comedy and charisma which Xia will be needing for her career and aspiration, and how often does it happen that one lot trait covers both on a randomly rolled sim? Yeah, exactly. An Army of Flamingos, you must have three flamingos on the lawn for every member of the household. If someone kicks them over you must straighten them back up every morning (between sun-up and noon) during “Roll Call”. 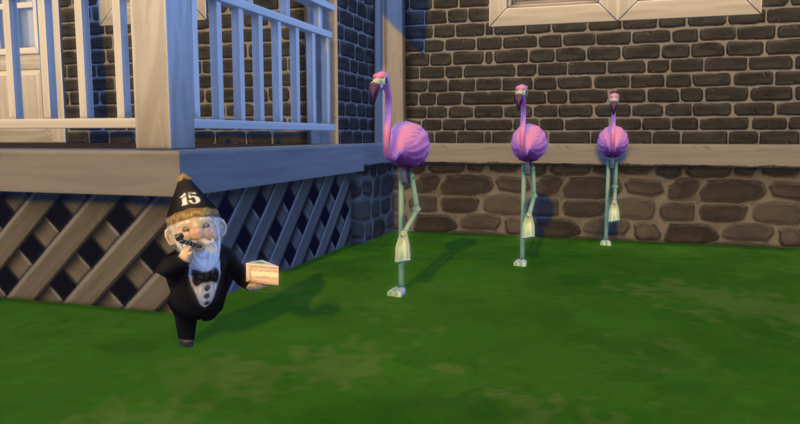 Xia moves into the house, lines up her flamingos and her gnome-guard. She has enough cash to purchase a bed, shower, toilet, sink, fridge, stove, and five cabinets – and she still has §653 remaining. 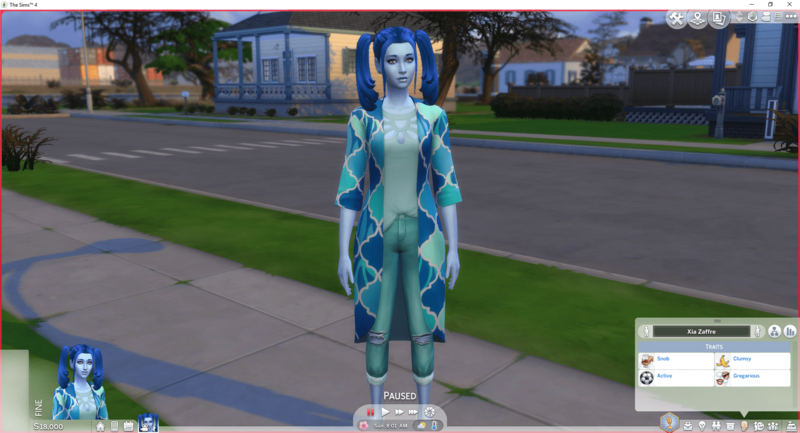 As someone that generally starts on Twin Oracle Point in Newcrest using the basic legacy start, it seems like she is rich. She has a house, the basics, and some cash. The house does seem small after the Bladderstone’s house but she (meaning me) will adapt. All of these bonuses are one time only bonuses unless specified otherwise. I must complete all three bonuses in order to earn the points for the given expansion pack. I chose the three expansion bonuses that I will be including and attempting for this challenge. The expansion bonuses that will still need to be tested are Cats & Dogs, Get to Work and Get Together along with the game pack bonuses for Vampires, Outdoor Retreat, and Jungle Adventure. Xia is as colorful as she can get. Hopefully her children can keep the color alive. Xia’s aspiration is Joke Star. I am doing the Matriarch mini challenge so there won’t be any spouses, not that they count for this task. As I am also doing the Ley Line mini, there will be lots of spares. I may also have lots of regrets. My mom named the gnome Gnomingo Quince. Well she chose Gnomingo. I added Quince since he has 15 on his head. Teamwork. I set the seasons to 14 days. 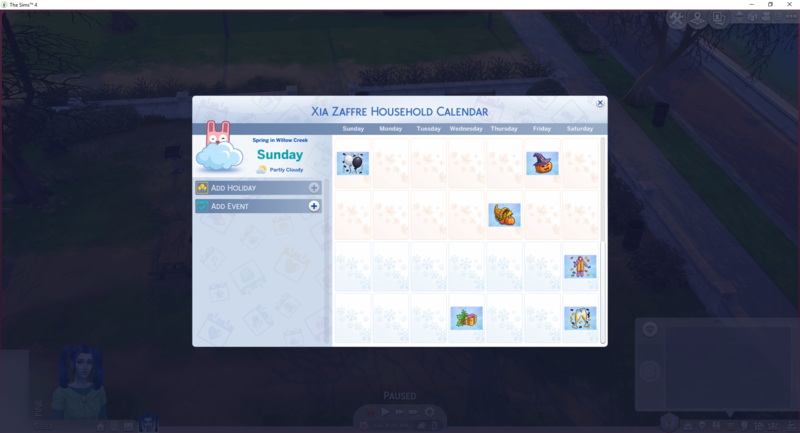 I also added my custom holidays so each year has a total of 12 holidays scattered throughout. There are three holidays in each season and they roughly correspond to standard US holidays: St. Patrick’s Day, Easter, Valentine’s Day, Memorial Day, Independence Day, Labor Day, Halloween, Thanksgiving, Christmas, New Years, plus two days to even up the holidays for each season. Naming the first generation’s three children names that start with B, O and O. The second generation’s children would be given names that start with L, P and R. The third generation’s children would be given names that start with O, P and N (for .net, of course!). If twins are born they count as one letter, tough bananas! Name them both with the letter the one child would have been assigned and then you must have another child. Additional children born/adopted whether intentionally or accidentally are considered outside the naming scheme and can be named whatever you want. I almost crossed this one off as I just finished the Baby Boom which was three sets of Boolprop named babies. The thought of having to come up with at least three more “O” names is daunting. But I am going to start off with good intentions – and try not to use the same “O” names that I used with the Bladderstones. Every generation one of your children will just plain be a bad apple. You get to choose which child it is at birth. Once chosen you cannot change it. A bad apple cannot be controlled until adulthood. You can not select your bad apple until they are a teen. You may not view their needs or skills, you may not view anything that you cannot already see with all of the interface fully collapsed. As a child and teen you cannot control them at all. Having the Bad Apple be taken by a social worker or die before reaching adulthood causes you to lose this mini-challenge. You may purchase aspiration rewards that your Bad Apple has rightfully earned. Bonus bonus points if your bad apple earns negative character traits! This is another one that I am tempted to cross off as I am not good at not controlling my sims. But I am good at influencing them so I will try this one also. A generation of your choice must give birth to triplets. You may name each of the babies after a different letter in the naming scheme if you go for this, you are also exempt from the three pregnancy rule that generation. Additional trio rules apply. You must have each triplet max three skills of your choosing as a child, make three best friends (outside of the family), and complete the golden trio of getting an A in elementary and high school and reaching the top of their teen career as a teen. They must also each earn at least three positive character value if you have Parenthood installed. Trio = three. And no negative values. Additional children may be born after the triplets, the trio rules do not apply to them. They definitely will be going to try for this one. I will be using the On Ley Line lot trait so the first generation to have triplets on the first birth will be the generation of my choice. Triplets born on any other birth won’t be eligible. Once a generation has attempted the Golden Trio, it will not be available for later generations, even if they have triplets on their first pregnancy. You must have your female founder and each of the heiress’ get her three pregnancies from someone outside of the family. You may not marry the father (or mother) or move them in. The heir must be female so strawberries are your friend. Photographs and novels, yippee. My favorite things. 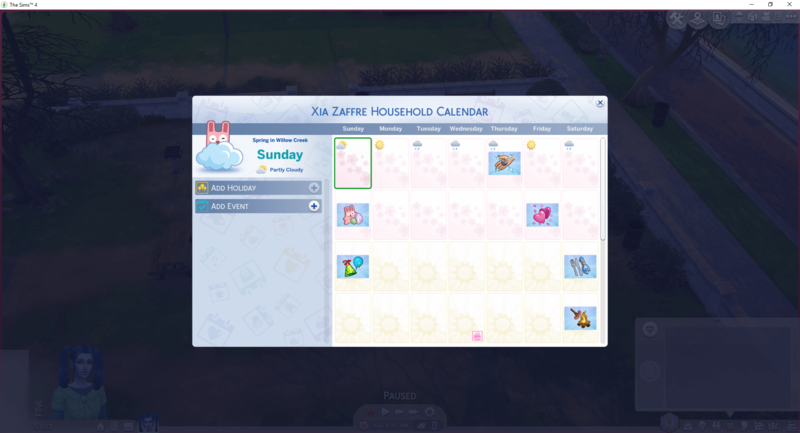 Each generation one sim out of the 3 pregnancies must gather a full collection of anything in the collection tab that has at least 20 items in it. You can choose to do only three, one for each of the generations, or have the founder do one and get an extra 5 points. They will give it a shot, should be possible. Collections that include 15+ items: Frogs, Gardening, Trophies, Metals, Crystals, Fish, Insects, Experimental Food, Voidcritters, Elements, Fossils, Space Prints, City Posters, Snow Globes, and Ancient Omiscan Artifacts. My sims rarely top their careers – I doubt this will happen, but they will try. Xia takes a position in the Entertainer career as an Amateur Entertainer. Now she has to go find 5 people to be funny to – oh wait, she lives in a neighborhood – there will be a welcoming committee. 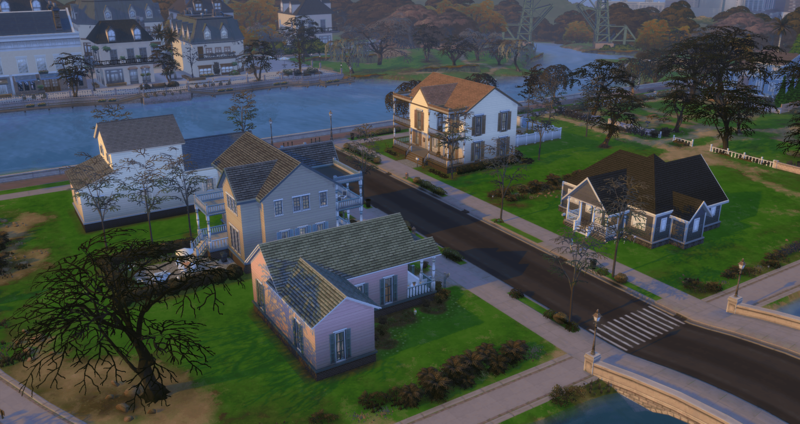 I normally start in Newcrest where there aren’t any neighbors so no welcome to the neighborhood. 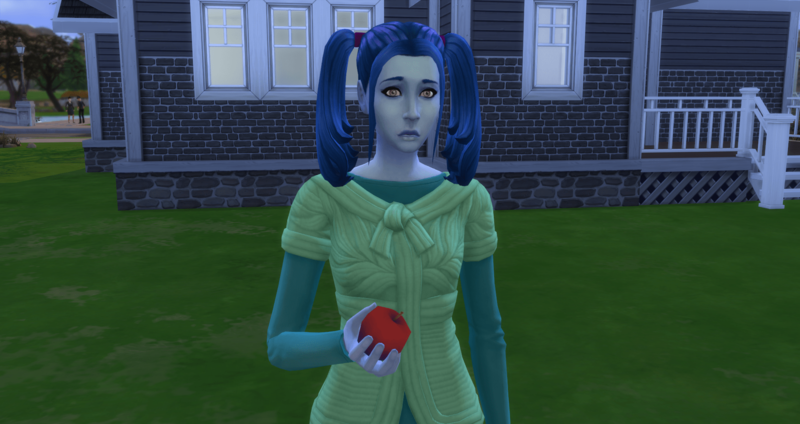 But this is Willow Creek and she has neighbors. Yep, this is happening, right here.